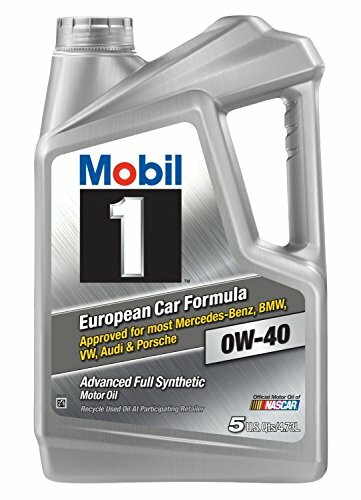 Mobil 1 (120760) 0W-40 Motor Oil, 5 Quart, Pack of 3 by Mobil 1 at Syl Shop. MPN: 120760-3PK. Hurry! Limited time offer. Offer valid only while supplies last. Mobil 1 0W-40 is an advanced full synthetic motor oil designed to help provide exceptional cleaning power, wear protection and overall performance. Mobil 1 0W-40 is an advanced full synthetic motor oil designed to help provide exceptional cleaning power, wear protection and overall performance. Mobil 1 0W-40 keeps your engine running like new in all driving conditions. If you have any questions about this product by Mobil 1, contact us by completing and submitting the form below. If you are looking for a specif part number, please include it with your message.